Getting ready to go on a cruise? No doubt you are wondering exactly what you should pack. Don’t worry you aren’t alone. Our most popular article of all time on Cruzely is 39 Useful Things to Pack For Your Cruise. Literally hundreds of thousands of readers have read this advice. Meanwhile it’s been shared thousands of times on Pinterest and Facebook. 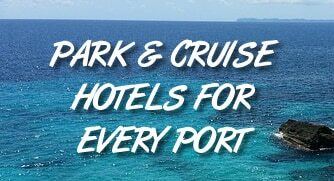 Through the article there are links to purchase many of the items on Amazon, which can provide insight on what cruise passengers are actually buying before they set on their trip. This compact plug gives you a spot for three devices. Want to get to know someone really well? Share a cruise cabin with them. In a small cabin you can hear — and smell — everything. To help out, many cruisers bring along a bottle of this toilet spray. You spray it over the water in the toilet before you go and it helps to keep smells locked in. We haven’t tried it ourselves but the Amazon reviews are outstanding.